"We had Seegars install our new fence and it is awesome. From the initial estimate to the install these guys were great. The price was right in line with others we received but the quality compared to some of our neighbors is out of this world better! We highly recommended this company. ”- Mark S.
"Seegars is the best!! We had them install a beautiful new wood fence and they exceeded our expectations. From beginning to end it was a great experience. I would definitely recommend this company. - Amy C. ”- Amy C.
"I am a local home builder and we have used Seegars for over 15 years. They have always delivered the product and services that I as a custom builder demand for my clients. 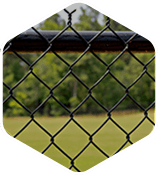 They have amazed me over the years with the wide range of fence products they offer. ”- Kim S.
"Seegars Fence Co. just completed my aluminum pool fence and I couldn't be happier. The project manager Jeff was very knowledgeable about the pool code regulations. The installation crew (Shelby) was very nice and cleaned up after the install. I would highly recommend Seegars for any of your fencing needs. ”- -Josh A. "Seegars got it done! We love our new fence and they finished it by 2 p.m. that day which is amazing. Jeff made the process seamless and the dogs and us couldn't be happier. If you need a fence, you need Seegars! 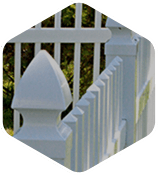 ”- Eileen M.
"We had Seegars build us a new fence and they did a superior job. The quality is what I expected. As an architect, I can be a little hard to please but these guys really impressed. I highly recommend this company. 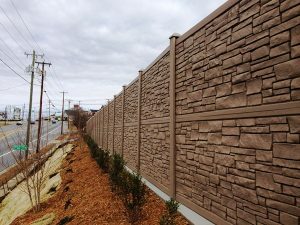 ”- John S.
"Just had a fence installed by Quincy and his crew and they were great! Jeff was wonderful on guiding us through the details of the project. They were all very professional and courteous while they worked. 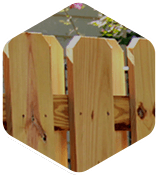 We have already recommended Seegars to some friends that have seen our beautiful new fence. ”- Leigh Ann D.
"Great service! Very professional! Just got a quote from Dustin and we are ALREADY very pleased with this company. ”- Michael M.
"We recently had a commercial grade aluminum double gate and fence installed. We are very pleased with the way the project was executed~ from the bid stage through closeout. The installation was completed on-time and the crew was knowledgeable and courteous. High marks for their professionalism and timely communication. 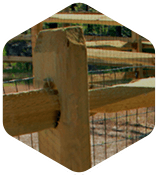 We will definitely use Seegars Fence for all future fencing requirements. ”- Mary Ann D.
"I had Seegers come out to give me a quote on replacing a large wooden fence. They informed me that the fence didn't need to be replaced just repaired. I appreciated their honesty and will be contacting them when it is time to replace the fence. I also plan to refer them to family and friends. Honesty means a lot! ”- Mandy C.
"Seegars Fence put in a 6 ft privacy fence at my house. Fence looks incredible!! Installers were extremely professional and knowledgeable. I recommend this fence company to anyone needing a fence installed. ”- David A. "The gate you installed at our residence is superior quality, excellent craftsmanship, and commendable service. Everything and everyone we worked with, from the team that installed the gate posts to the final set-up and completion was a very satisfactory experience. I feel confident in the quality and long-lasting use of our new gate and knowing that we can depend on it. I like the way my calls were returned properly and the interest you showed in solving our key issue. Working with your office manager was very pleasant, as well ;-)! 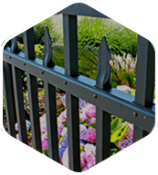 ”- Paul S.
"Our experience with Seegars Fence Company was outstanding. Jeff, the sales representative, and the project manager were punctual and professional. His proposal was supportive of my plans and insightful regarding codes and my overall landscape. Work was completed when and as expected for the quoted price. It's great to see service is still a priority for some vendors. ”- Spencer N.
"Great quality vinyl fence! Looks better than I imagined. They took down my old fence and put the new one up in one day. The installers were very professional and courteous. I would highly recommend!!! ”- Amanda W.
"The company was very thorough and efficient. Multiple people came out to our house to see exactly what we wanted so we would be satisfied with the outcome. They installed the fence in a couple days time and we are nothing but ecstatic about the final product! ”- Matthew J. "The most pleasant experience ever! Quality service and craftsmanship! My puppy loves his new fence! ”- Don M.
Copyright © 2019 Seegars Fence Company.